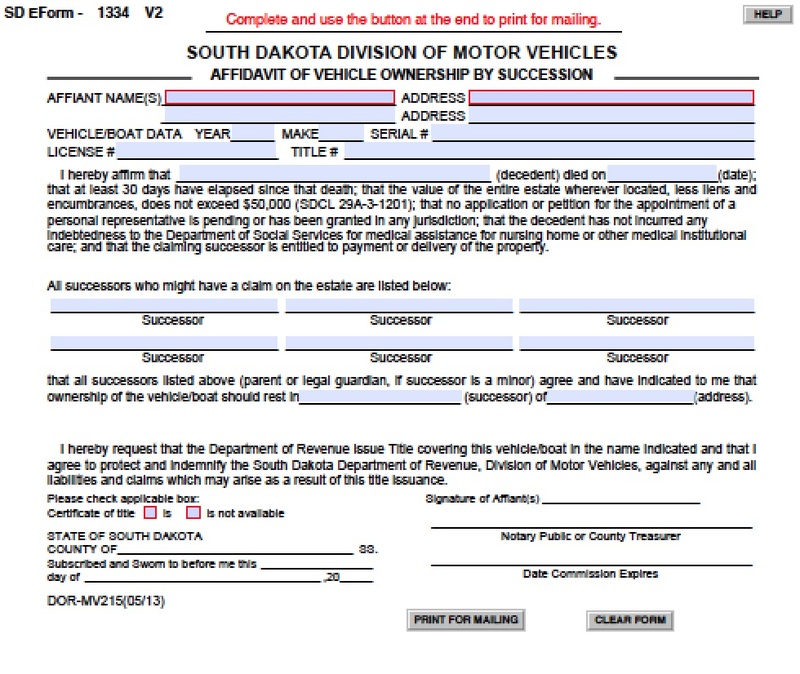 If 30 days have passed since a loved one died in South Dakota, then heirs may file an affidavit of heirship to claim bank accounts, trusts, debts owed the decent (like final paychecks) and other tangible property except for motor vehicles. The value of the estate may not exceed $50,000 or the estate will go to probate court to be divided up if there is no will. 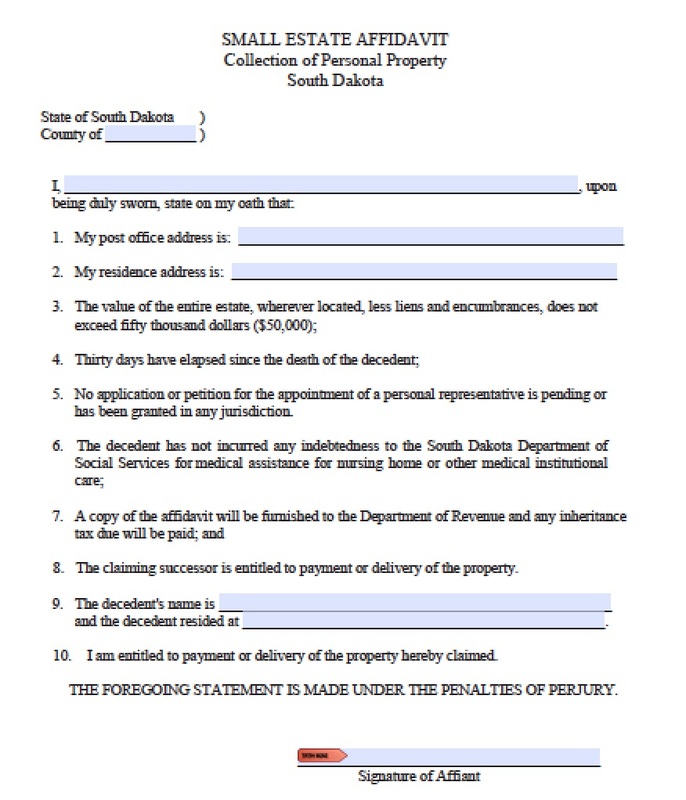 In South Dakota, creditors with evidence of the decedent’s debts may file the affidavit of heirship as well, in order to collect on the debt out of the decedent’s estate. 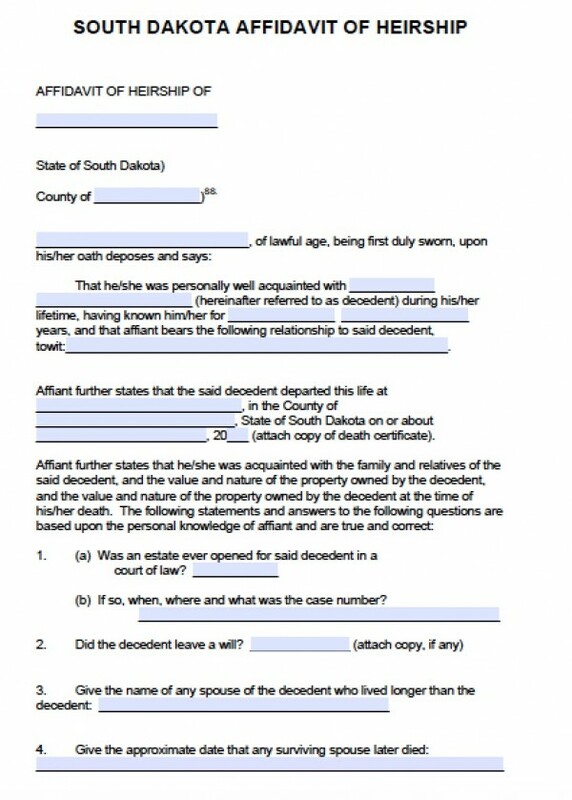 The affidavit of heirship is governed by statutes S.D. Codified Laws §§ 29A-3-1201 and following.